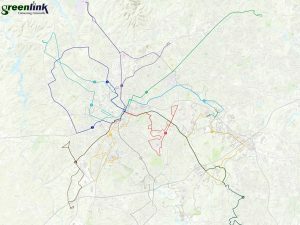 How can Greenlink, the public transit system that serves Greenville County, South Carolina, be made more efficient and more responsive to riders? And how can it do so within its already modest budget? This is one of the key questions of a study currently underway. The study, called a Comprehensive Operational Analysis (COA), provides a snapshot of the current system: which routes and stops are being the most utilized and when are people riding, which areas have housing and employment densities that will best support transit use, the effectiveness and efficiency of its maintenance and operations, and more. Most interesting, the study will provide recommendations for budget-neutral changes that Greenlink could make to better serve the community. 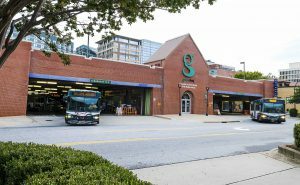 The COA was one of the top recommendations from the Piedmont Health Foundation’s 2015 study of public transit and health and human services transportation. During that study, it became apparent that Greenlink’s routes were designed long ago and had not been reevaluated in years. 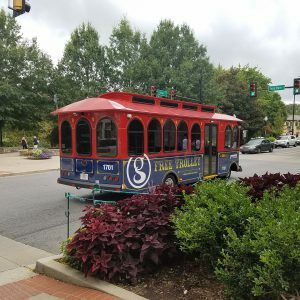 Additionally, Greenlink lacked data on where and when riders were getting on and off the buses, which would help staff and the Greenville Transit Authority Board know what is working and what might need adjustment. The COA, funded by the City of Greenville, County of Greenville, and Piedmont Health Foundation, is designed to provide that important information. 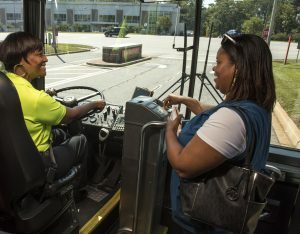 Connetics Transportation Group (CTG) of Atlanta was hired to conduct the COA, with oversight and input from a community steering committee. They have spent hundreds of hours riding buses; interviewing drivers; surveying riders; leading focus groups with community members, business leaders, elected officials, and others; analyzing data on the community and stop-level ridership numbers; studying Greenlink’s maintenance and transit facilities; and more. The consultants are identifying many needs and opportunities for Greenlink. However, one of their main charges required that any changes must not cost the system more money than it has available currently. Policy makers and community members have wondered if the system is as efficient as it could be and whether there are “easy fixes” to better serve residents. I’m reminded of the scene in Apollo 13 when engineers are charged with figuring out how to bring the incapacitated spacecraft home using only the supplies currently on the ship. A box full of what appeared to be junk was dumped on the table at mission control, and the NASA team got to work. Greenlink staff and the consultants from CTG have a similar task: serve the community as well or better but with the same old diesel buses, the same inadequate maintenance facility, and the same woefully low level of funding. Like the Apollo 13 team, I believe Greenlink will be successful. The skill and passion of their staff and the loyalty of their riders will, indeed, go a long way. 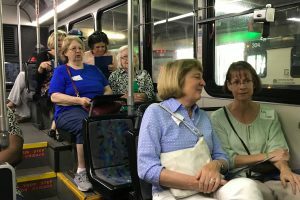 Service change recommendations will be presented to the Board of Greenville Transit Authority this summer, and Greenlink will seek public input on these ideas throughout the fall. I encourage you to take part in this process and help spread the word about Greenlink’s plans. But as you do, imagine what Greenlink could be if it had more than the figurative box full of supplies to work with? Hopefully, a future-looking Transit Development Plan will answer that question for Greenlink in early 2018. Jim Collins’ book on management, Good to Great, is often quoted when discussing community change and excellence in leadership. It’s particularly fitting in describing the work to improve our public transit system, because one of its characteristics of great companies is a mindfulness of “who’s on the bus.” Collins argues that companies that go from good to great start not with the question of where they are going but with who is working there – getting the right people on the bus and in the right seats. The management team at Greenlink has been fully in place for less than a year, but these folks’ collective experience and passion for improving connectivity in our growing community indicate they see a system that’s here to stay. Greenlink has the right people on the bus, and they are already working on where Greenlink will go in the future. James Keel is the Assistant Public Transportation Director for the City of Greenville Public Transportation Department in Greenville, South Carolina. 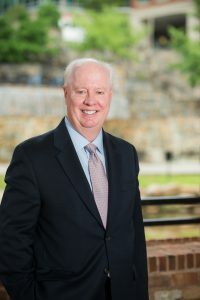 Initially, he was brought onboard to serve as the General Manager but seven months into his career with the City he was promoted to his current role. James currently oversees transit operations division, the safety and training unit, and the transit planning and grants unit. 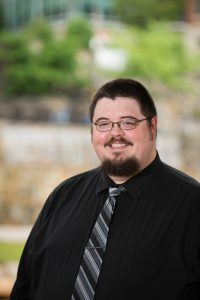 James came to Greenlink from Greenville, North Carolina where he served as the Charter Services Coordinator for East Carolina University Transit. He studied management and has received both a bachelor’s and master’s degree in business administration. James’s passion for public transportation began in 2009 when he served as a bus operator for the ECU Transit. Alex joined Greenlink in July 2016. He previously served as the Senior Transportation Planner for Delaware County, PA and as the County’s Planning Liaison to SEPTA, the public transit provider for the Philadelphia metro area. Alex brings a comprehensive planning background to Greenlink including previous work with rail, road, and sidewalk projects – a beneficial asset in coordinating Greenlink’s short and long-term planning efforts with city, county, and state agencies. Alex is responsible for all service planning activities including analyzing and modifying bus routes, bus stop design and placement, and addressing pedestrian and ADA access at bus stop locations. He is also responsible for developing grant applications for state and federal funds and reports all operational data to the National Transit Database (NTD). 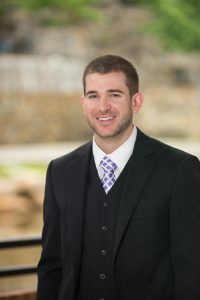 Alex earned a Bachelor’s of Science in Community and Regional Planning and a minor in Geography and Urban Studies from Temple University and is currently pursuing a Masters in Geography and Environmental Planning from Towson University. Nicole came on board with Greenlink in December 2015. 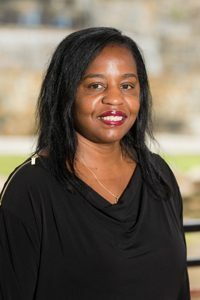 Her current duties include coordinating advertising sales to increase Greenlink revenue, managing a bike locker program in downtown Greenville, updating the Greenlink website and creating quarterly newsletters, planning public hearings and communicating service changes, and serving as Greenlink’s community liaison with media outlets, elected officials, and other stakeholder groups. 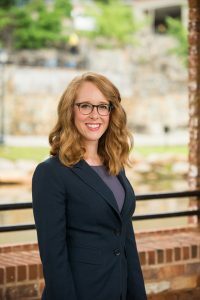 Nicole is also a member of the Bike Walk Greenville Board of Directors and the Upstate Transit Coalition Board of Directors. Nicole’s experience in transportation began in 2011 with URS Corporation (now AECOM) as a School Outreach Coordinator, and then as Deputy Project Manager, with the SC Safe Routes to School (SRTS) Resource Center – a project of SCDOT. With the SRTS Resource Center, Nicole recruited K-8 grade schools to participate with the SRTS program by planning Walk and Bike to School Day events, conducting walkability audits, and drafting school travel plans to seek funding for pedestrian and bicycle infrastructure improvements. Additionally, Nicole served as an ambassador for the program by presenting at national conferences including the Pro Walk/Pro Bike 2014 Conference and the 2014 US Play Coalition Conference. Nicole is originally from DeLand, Florida, and attended the University of Florida where she earned her Bachelor of Science degree in Business Administration. Nicole majored in Marketing and received minors in both Organizational Management for Nonprofits and Leadership. She is currently earning a Master of Public Affairs degree from the University of Missouri. With over 12 years of experience in a variety of transportation roles, Joel came to Greenlink in August 2016 to focus on developing a comprehensive safety program. He believes instilling a culture of safety among employees and incorporating risk mitigation into all aspects of operations are keys to minimizing safety-sensitive events. Monthly safety meetings with all operations staff are used to discuss recent trends in overall performance and continually update them on recent changes to laws, policies, and best practices. These meetings also offer an opportunity for him to reinforce the importance of being safe on the road by driving defensively and maintaining awareness while still providing great customer service. By interviewing and hiring qualified bus operators with the right mix of people skills and behind the wheel experience, Joel hopes to help maintain the City of Greenville’s image as a safe place to work and live. 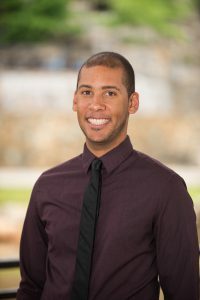 Joel first received his Associate in Applied Science in Advertising & Graphic Design before beginning his transportation career as a bus operator while attending classes at East Carolina University in Greenville, NC. Here he received his Bachelor of Science degree in Information and Computer Technology as well as a minor in Business Administration. During his time at ECU Transit, he quickly moved up to become a dispatcher, training instructor, and finally Planning, Marketing & IT Manager. Additionally, he served as a Third Party Examiner certified by the NC DMV to administer skills tests for new employees who had completed training and were attempting to obtain their Commercial Driver’s Licenses. Lorrie Brown is the first smiling face that visitors see when they enter the Transit Center at 100 W. McBee Avenue. She is Greenlink’s Administrative Assistant and has worked with Greenville Transit Authority/Greenlink since 2005. During tenure at Greelink, she has been given a Customer Service Award in 2009 and was voted Transit Employee of the Year in 2011. Prior to her employment with the Greenville Transit Authority/Greenlink, Lorrie worked for South Trust Bank as Administrative Assistant to the Bank Administrator, and for 18 years she was the Human Resource Secretary for Hexcel Schwebel where she maintained records for over 1,000 employees. She also assisted with safety training and signing up new hires during her employment. When the Corporate office moved from White Plains, NY to Anderson, SC Lorrie left the Hexcel Schwebel HR Department and went to work in the Corporate office as Administrative Assistant assisting the President and Vice Presidents. During her employment there, she received various customer service and perfect attendance awards (missing only two days during her 18 years of employment!). Posted in UncategorizedLeave a Comment on Who’s driving your bus system?